Anything but cookie cutter! Tectonics built contemporary situated on a level double lot for enhanced privacy. 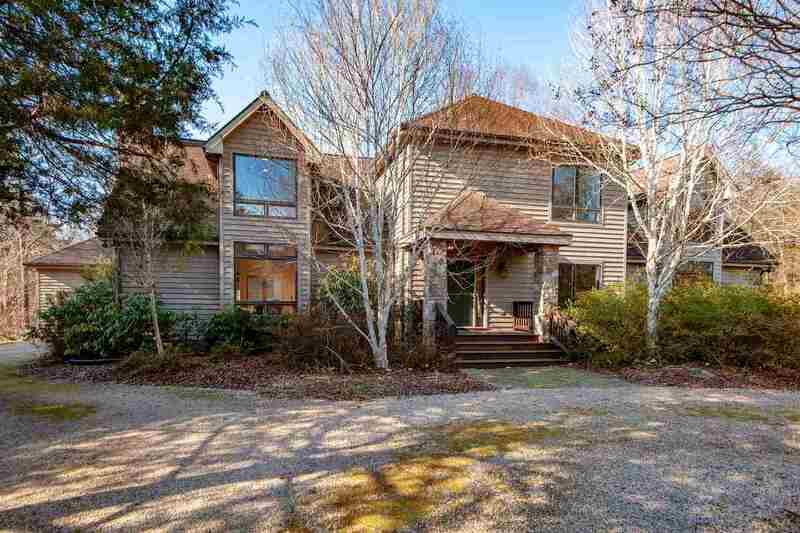 Easy entertaining home with bright, open flow and multiple gathering spaces inside and out. Enjoy nature from the 1,000+ sq ft of outdoor living space - decking, covered front porch, and back screened porch overlooking the frog pond. Ideal location to walk to the creek in the woods behind the home; you can often hear it from the decks! Step inside and be welcomed by the cathedral ceiling, floor to ceiling stone fireplace, hardwood floors, and custom windows. Live on one level and have guest quarters upstairs. Move-in ready with nearly 70k in recent renovations to kitchen, bathrooms, flooring and more. 30 minutes to Charlottesville! Please, send me more information on this property: MLS# 588058 – $549,000 – 472 Cedar Meadow Dr, Nellysford, VA 22958.